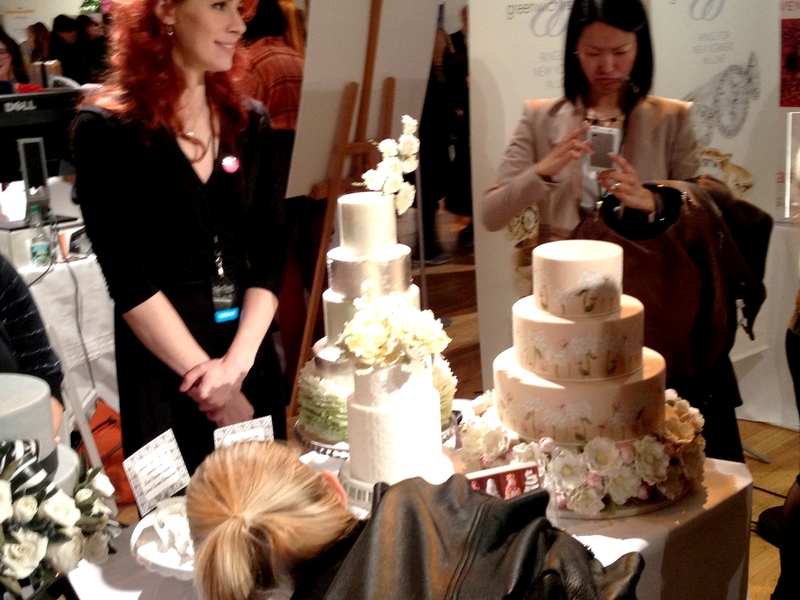 This past week I attended the NY Magazine Wedding Show held at Metropolitan Pavilion in Manhattan with my lovely client, Bonnie. I don’t want to toot my own horn (Beep beep!) but my predictions for 2013 wedding trends in the Tip of the Day #62: Top Wedding Trends for 2013 – What’s In and What’s Out post were pretty on point. Apologies (as always) for my less than stellar photography skills. 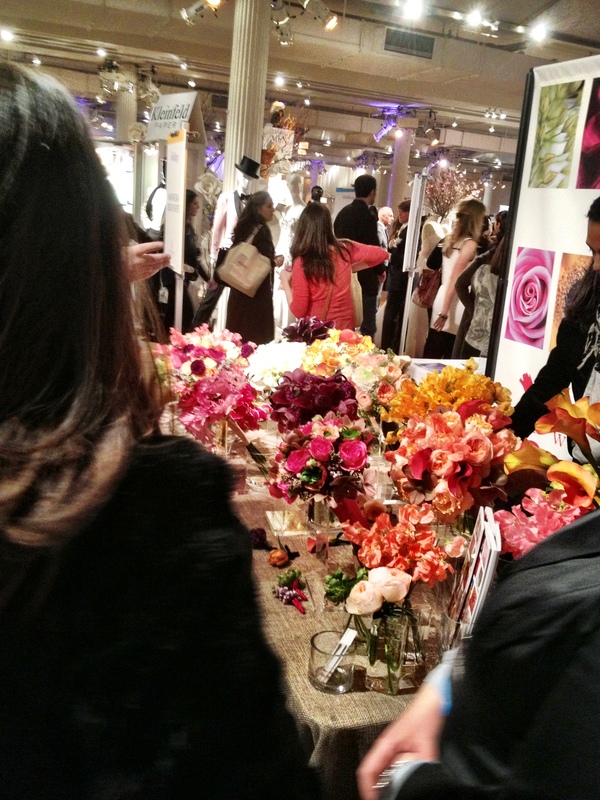 It’s tough enough navigating through the throngs of eager brides, let alone being afforded the opportunity to snap away at an unobstructed vendor display. 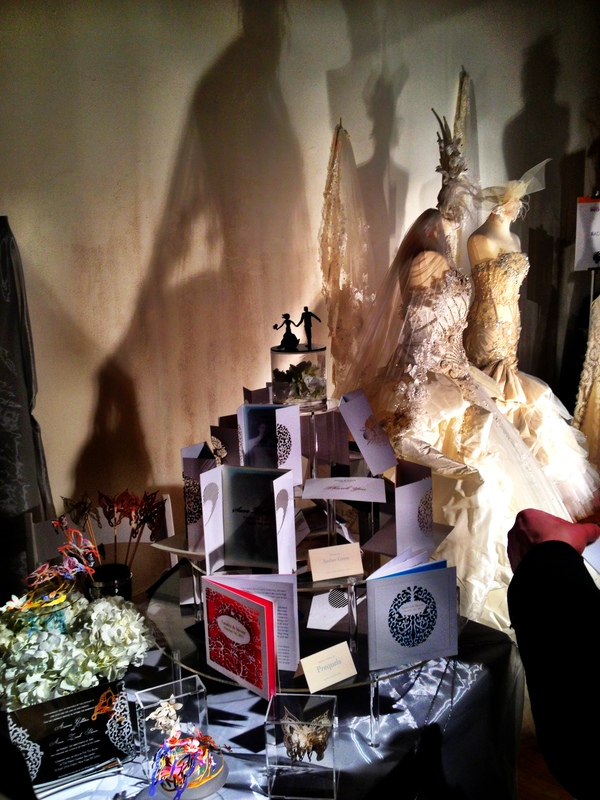 The New York Magazine Wedding Event featured some industry heavy hitters like Ron Ben-Israel Cakes, Kleinfeld Bridal Gowns (and wedding invitations! ), Cloth Connection event rentals, Kate’s Paperie invitations, and much, much more. 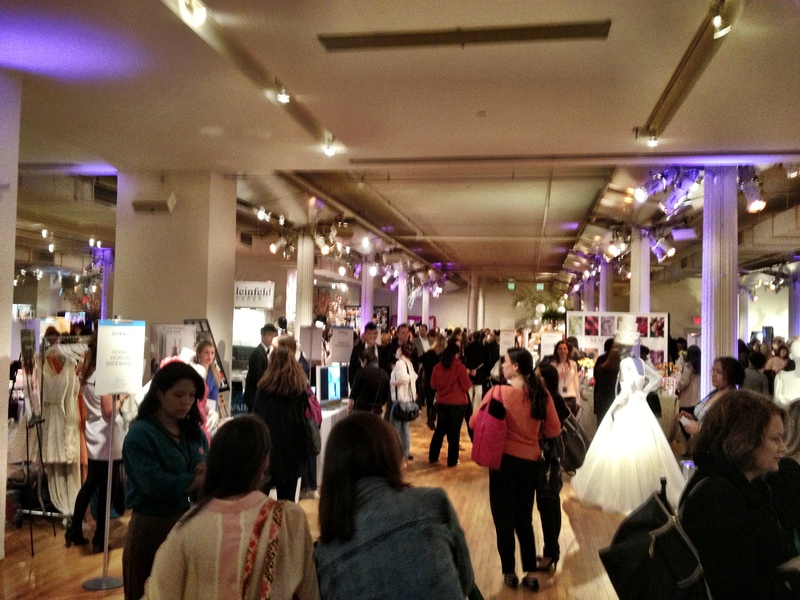 The event featured about 100 vendors including everything from bridal bootcamps to wedding baby-sitters. 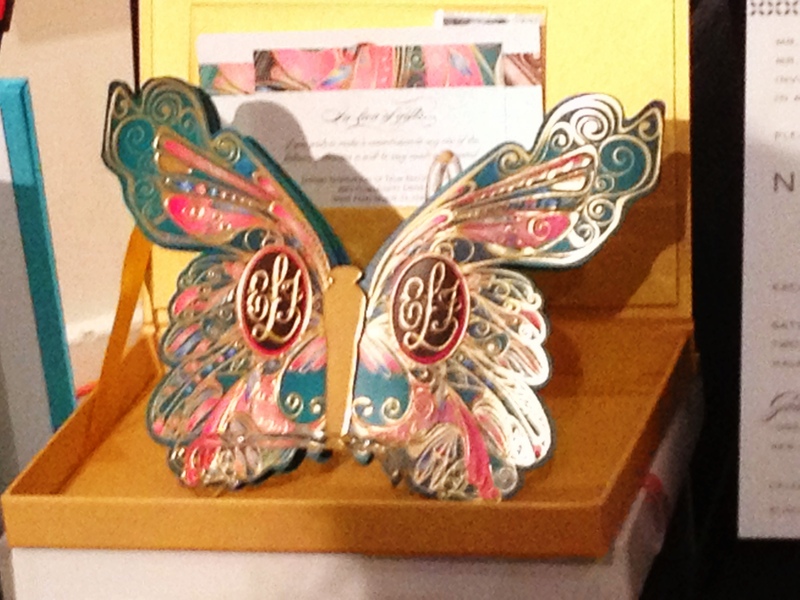 Many of the invitations displayed featured intricate white and cream laser cut overlays over pastel paper. I also noticed a lot of chevron and “preppy” patterned designs and colors. 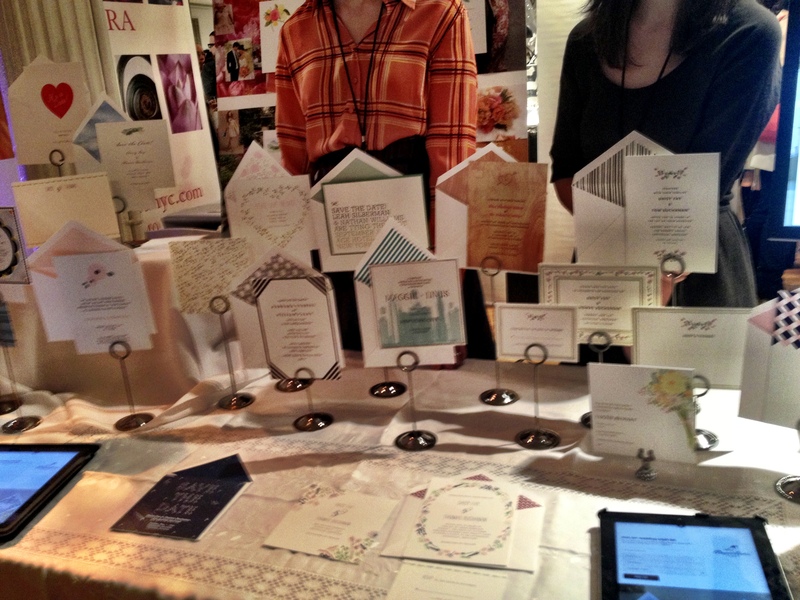 I was so excited to stumble upon the non-paperless Paperless Post printed invitations! The invitations were just as beautiful as the digital versions. 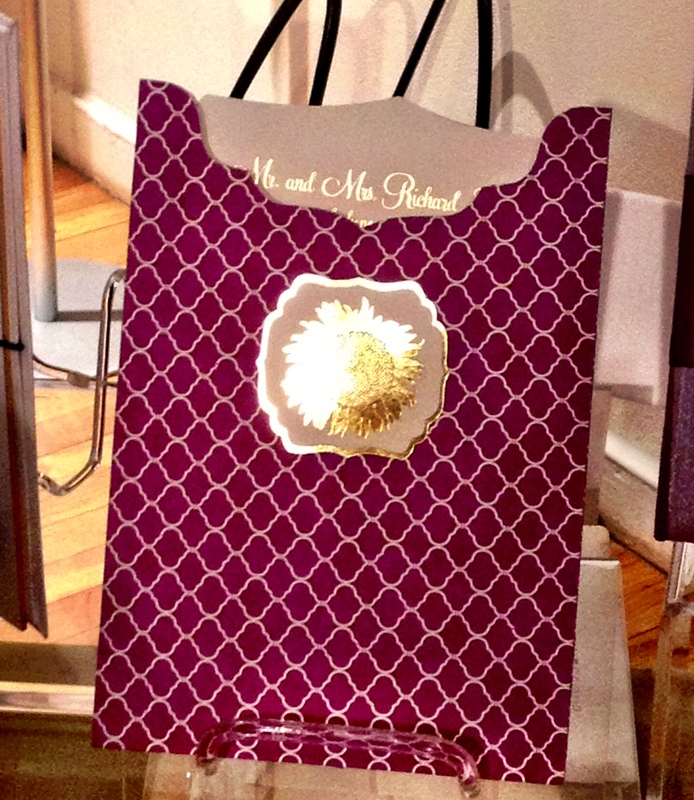 In addition, Kleinfeld, a name synonymous with wedding gowns, has also released a line of printed invitation suites. There was a visible return to simplicity with regards to cake design. 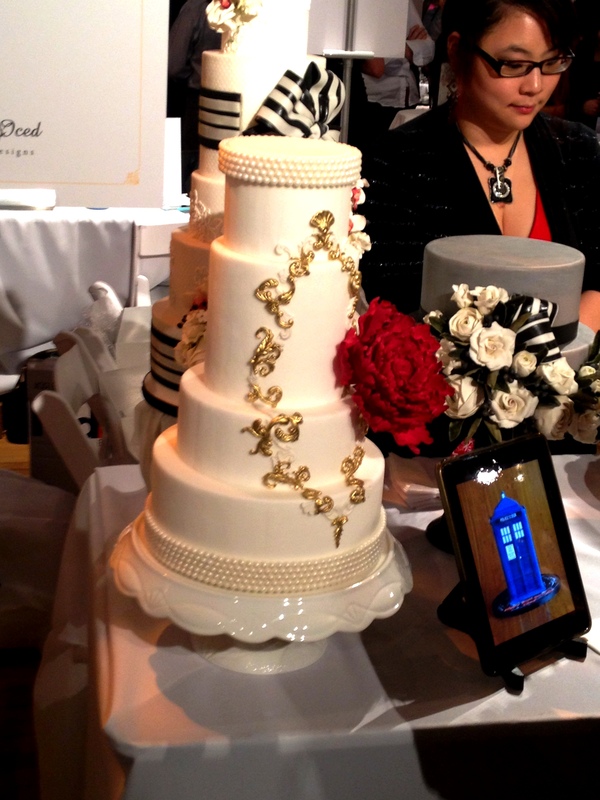 Many of the cakes on display were standard white sheet cakes with cascading edible floral appliques. Most of the wedding dresses on display featured intricate lace inlays and ethereal ruffles and draping. 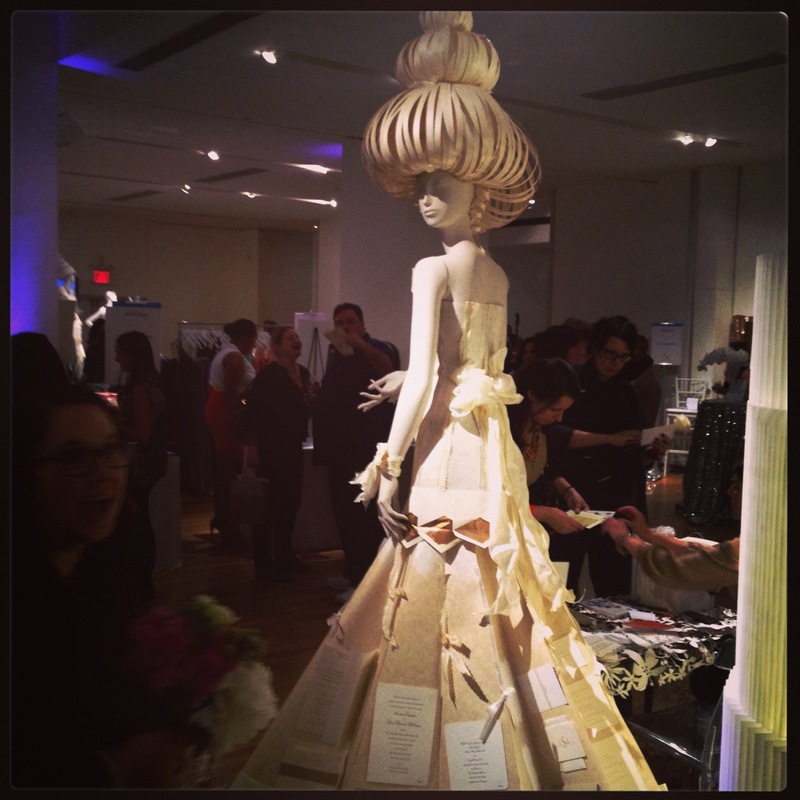 The most impressive dress was, in fact, made entirely out of paper. Recycling at its finest! The best treat of the event was getting flagged down by the fabulous Dwayne of Gotham Beauty Lounge. 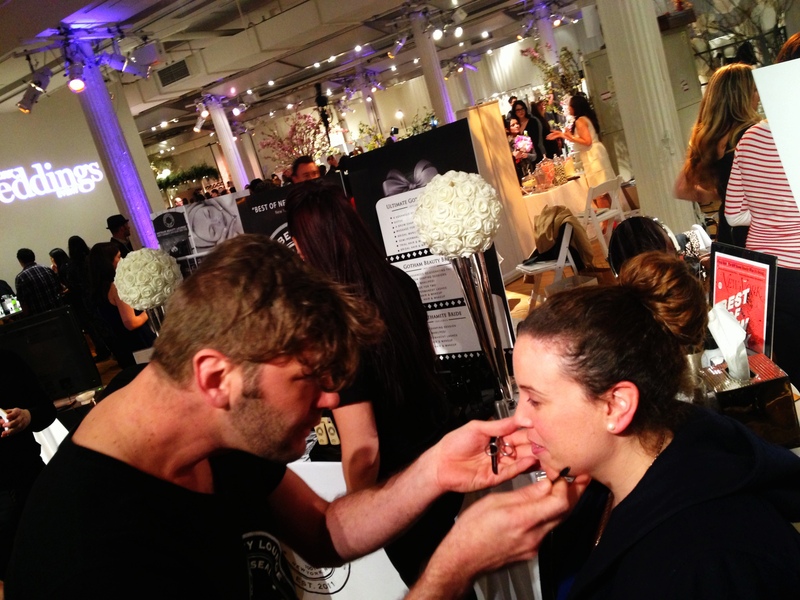 He introduced himself as the “brow guru” so I plopped myself into his director’s chair and put him to the test. Dwayne taught both Bonnie and I how to shape, trim and properly pluck our brows for our respective facial structures. Here’s Bonnie getting the royal Dwayne brow treatment. 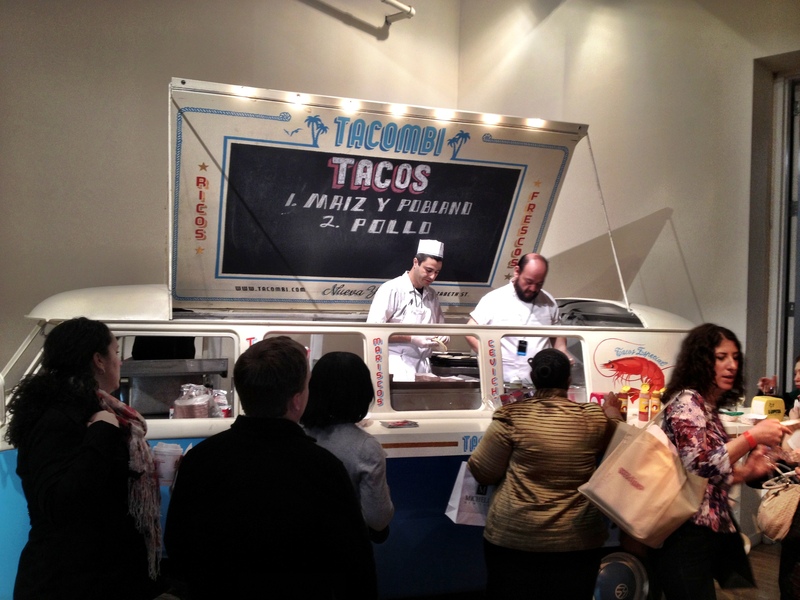 I have always been a fan of food trucks (especially for the late night post-wedding crowds) and NY Mag brought the fire with the Tacombi taco truck. I mean look at this truck, could it be any more adorable? I taste tested the tacos and the quality of the food was on par as well. I can’t forget to mention the infamous NY Mag Swag Bag. 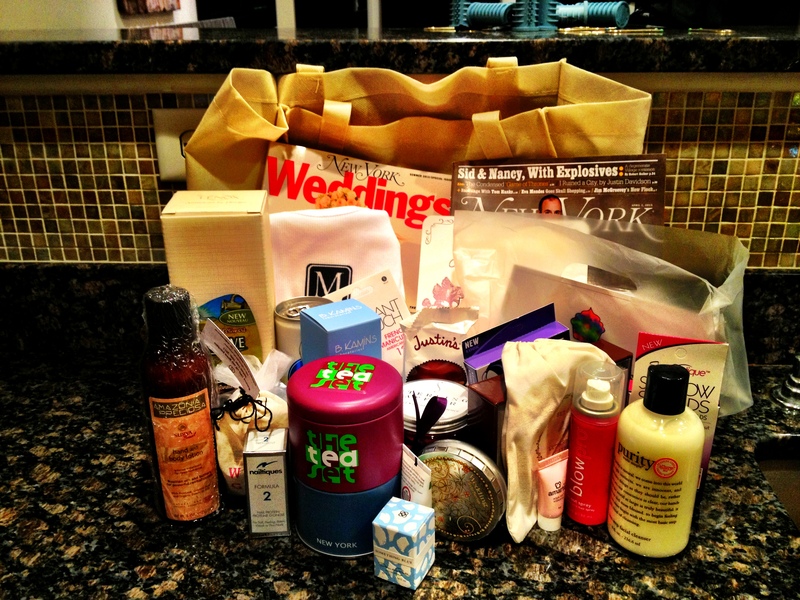 Here’s a photo of my stash, including wedding cupcakes from Baked by Melissa, facial cleanser from Philosophy, Blow! hair spray, and, of course, my very own complimentary copy of the most recent NY Mag Weddings. Talk about cleaning house!